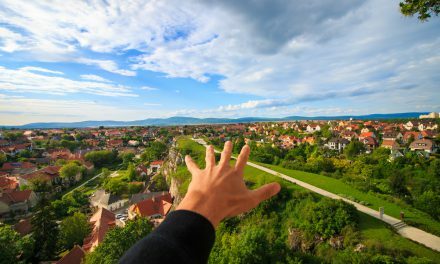 California average home prices are currently 21% below their Millennium Boom peak, according to the Federal Housing Finance Agency (FHFA) home price index. 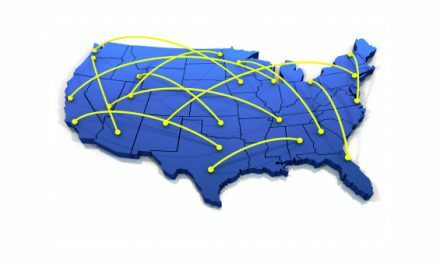 However, this average figure varies dramatically based on the California region and the price tier. For instance, San Francisco and San Jose have both surpassed their Millennium Boom heights, while Riverside remains well below. Expect home prices across the state to continue to rise gradually in 2016, and then falter in 2017 due to mortgage rate increases anticipated to arrive in 2016. However, the expanding jobs market will give home prices another boost later in 2018, propelling prices to their next boom around 2019-2021. This boom will be most strongly felt in California’s urban, coastal centers, where demand for high-paid employees is highest. The two charts above depict home price movement across California’s varied metropolitan areas in Northern and Southern California. This home price index is produced by the Federal Housing Finance Agency (FHFA), and shows how average home sale prices change over time within each metro area. It’s important to note the charts do not display actual home prices; rather, the lines show how a home’s sale price change over time. For instance, a home which sold for $500,000 in Q3 2006 in Los Angeles — when the index number was 280 — sells today — when the index number is 239 — for 15% less, or for $426,000. Of course, these are average trends, meaning each individual home experiences different amounts of appreciation and depreciation over time than depicted in the charts. These trends are complicated by improvements to the home and neighborhood, local job performance and the status of negative equity homes in the surrounding area. 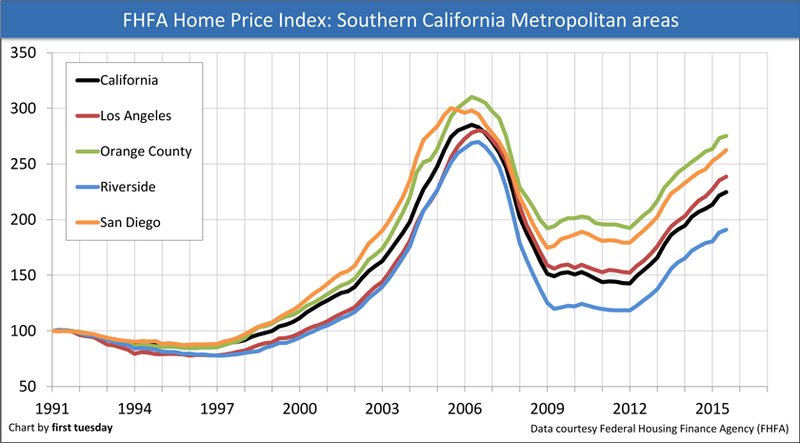 What can the FHFA price indices tell us about California’s housing market? As seen in the charts above, the San Francisco and San Jose metropolitan areas are the two areas which have exceeded their Millennium Boom home price peaks. Therefore, in theory, negative equity has entirely dissolved from these areas of the state. On the other hand, all of Southern California, as well as inland portions of Northern California, remain at lesser levels. In these areas, negative equity is still a drag on home sale performance. The statewide share of mortgaged homes securing property valued below what is owed on the mortgage — known as underwater homes — is just over 7%. In other words, one in fourteen mortgaged homes is underwater. This figure is higher in inland areas than coastal regions, with the highest share — over 12% — found in the Riverside-San Bernardino metropolitan area. Savvy real estate professionals may notice the home price charts above look a bit different from the more widely reported Case-Shiller/Standard & Poor’s home price index. In fact, first tuesday reports these Case-Shiller home price changes monthly. So what makes the FHFA charts different than the Case-Shiller charts? The charts on this post used data from the FHFA, which calculates home values differently than Case-Shiller. They also cover more metropolitan areas (in addition to the statewide average) than Case-Shiller, which is limited to Los Angeles, San Diego and San Francisco and other metropolitan areas outside of California. The Case-Shiller index uses the repeat sales method to calculate its home price indices. In other words, it only counts homes which have sold at least twice, and only single family residences (SFRs) at that. This allows it to compare how a home’s price has changed over time. When aggregated with other repeat sales in the area, Case-Shiller produces an index number for a specific region. The FHFA index uses the home prices on mortgages sold to or guaranteed by Fannie Mae or Freddie Mac. Like the Case-Shiller method, the FHFA home price index uses only repeat sales (and refinances) in its calculations. Additionally, the FHFA index for California is limited to SFRs with conventional mortgages — no Federal Housing Administration (FHA)-insured mortgages or Veterans Affairs (VA)-guaranteed mortgages are included. The Case-Shiller index gets its data from county recorder and assessor offices. The FHFA index receives its data directly from Fannie Mae and Freddie Mac. Editor’s note — The FHFA expanded dataset index for California’s metropolitan areas, which is displayed in the charts above, also includes sales attached to FHA-insured mortgages as well as those derived from County Recorder offices. However, the statewide average displayed above does not include FHA-insured mortgages. Homes fit within these price tiers based on their original tier. That is, a mid-tier home will never become a low- or high-tier home based on market fluctuations alone. 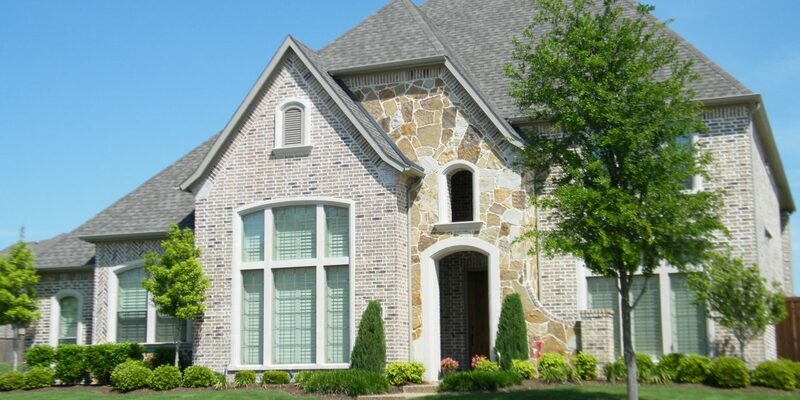 It will always be considered a mid-tier home due to its original sales price, regardless of price changes. In turn, the floor and ceiling for the home tiers change with market influences. Viewing home price changes through the multi-tiered lens provided by Case-Shiller is most helpful for understanding how prices have changed and will likely adjust in the future. This is because average prices tell only a small part of what’s happening in the real estate market — the average price is an abstraction and cannot be applied to any single property. On the other hand, the tiered price approach, while still imperfect, narrows down the price picture somewhat. 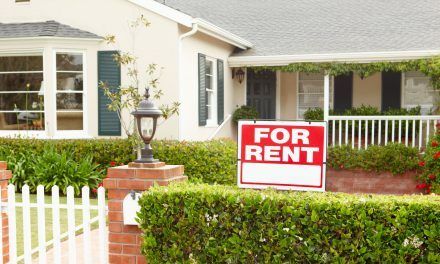 However, real estate professionals located in areas not covered by Case-Shiller may wish to look to the FHFA’s index for clues into their local markets. To best understand how local home prices are changing today, and are likely to change tomorrow, use a combined approach to these home price charts. It’s clear that home price fluctuations are highly localized — Los Angeles price movement is very different than price movement in nearby Riverside (which is not covered by Case-Shiller). However, within these localities price changes are also different between price tiers, which are provided by the Case-Shiller index. Specifically, high-tier home prices tend to move more slowly than low-tier prices, with mid-tier homes moving at a moderate pace. For evidence, in 2006 low-tier prices peaked at a higher level (not a higher price) than did mid- and high-tier prices. After bottoming in 2009, low-tier prices remained depressed for longer. In a rising market, low-tier prices rise more quickly. This is due partly to investor interest in low-tier properties. These types of homes are purchased with less initial investment, and the potential for increasing the property’s value through adding improvements is higher than with higher-priced property in the same area. Investors — often speculators who plan on holding the property for a short-term flip and profit — add market momentum to low-tier properties. The price increase filters into other price tiers as well, but the most pronounced price growth occurs in the low-tier. Rampant speculation inflated low-tier prices in 2012-2014. 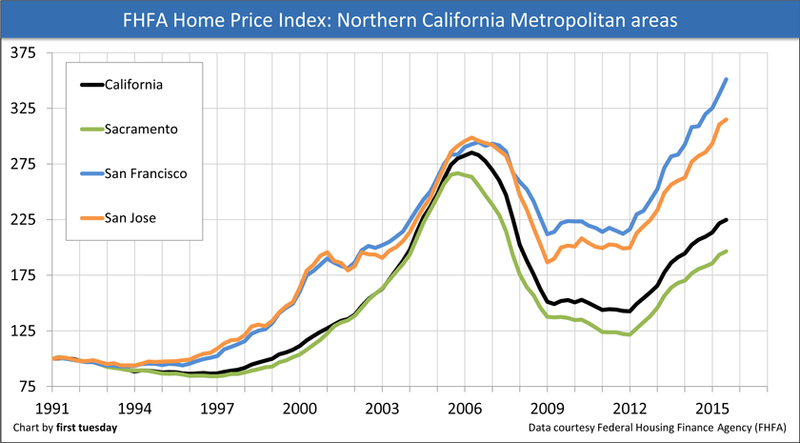 For instance, from Q1 2012 to Q1 2015, low-tier prices across California’s three largest metros rose an amazing 65%. In contrast, high-tier prices rose “just” 45% over the same two years. Mid-tier prices rose 53%. Likewise, metropolitan areas covered by the FHFA’s index encompassing more low-tier properties (e.g. Riverside, Sacramento), descend more quickly than areas with a higher concentration of high-tier properties. In the charts above, Riverside and Sacramento bottomed well below all other metropolitan areas following the Great Recession. Therefore, real estate agents can first analyze what price tier their home sales are focused in. Next, look to the regionalized charts for further assistance forecasting where prices are headed. For instance, if the agent is located inland, price growth will be generally be slower (and perhaps more stable). Or, if the agent works the urbanized, coastal regions, price growth will be quicker (and perhaps less stable). the jobs market, which has experienced the most improvements where prices are most improved, and will continue to do so in the coming years. PreviousLetter to the Editor: Is the FHA informed when a property is conveyed to an investor?